One Direction have answered many a difficult question in their five years as a band, undoubtedly facing the hardest barrage inquiries ever after Zayn Malik quit the group. But with the announcement of their brand new fragrance, Between Us (a scent literally made from Niall Horan's tears), Liam Payne has answered perhaps the most significant 1D question of all: What do One Direction smell like? "In the morning, the first thing everyone asks for is deodorant, but deodorant is the one thing you always forget, especially when you're traveling," the singer formerly known as DJ Payno told Teen Vogue. "It's all about rubbing everyone else's deodorant on, and then trying to hold on to it as long as you can without them taking it back. When they ask if you borrowed it, you have to say, 'Oh, I gave it to so-and-so.'" Um, ew. 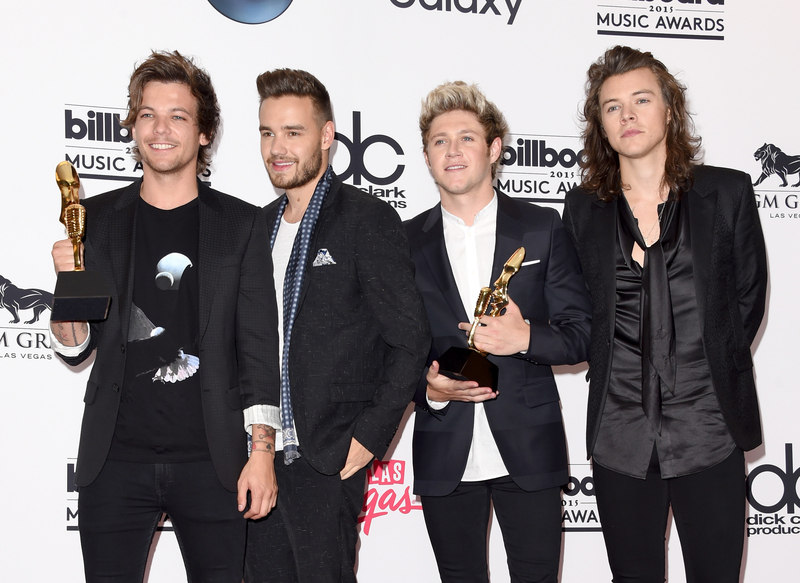 So, what do the guys of One Direction smell like? Well, let's break 'em all down. According to Liam Payne, Harry Styles smells like "fresh cotton — yes, fresh linens." He's obviously insinuating that Styles smells ~clean~, JUST LIKE THE TAYLOR SWIFT SONG ABOUT HIM. This is not a drill. Tomlinson apparently eminantes a strong scent of french fries and hair product. "Fast food, I would regrettably say," Payne admitted. "And sometimes when we go on stage, he smells like hairspray and fast food." YUM. "Green fields. He's always on the golf course," Payne said of his Irish bandmate. "He's the outdoorsy one." Never forget the time that he randomly fell down while caddying for Rory McIlroy. Bless. Unlike his bandmates who reek of things like hairspray, grass, and fast food, Payne made sure to point out that he smells delicious and solely emits the aroma of his cologne du jour. "Me? I have a nice little collection of fragrances," Payne said. "Chanel Bleu is what I smell like today." Forever the classy one, that Liam Payne. As for the final results? 10/10 (4/4?) would still do. Golf course scent and all.